The Indians haven’t looked good at all in their first two games in Kansas City against the Royals, getting beat 8-1 on Friday when the Royals scored six in the first to knock out Carlos Carrasco, and then Saturday Homer Bailey looked like Cy Young in beating the Tribe 3-0. Today at 2:10pm Corey Kluber (1-2, 3.86 ERA) will look to stop the bleeding as he will take on Jakob Junis (1-1, 5.74 ERA) for the Royals. 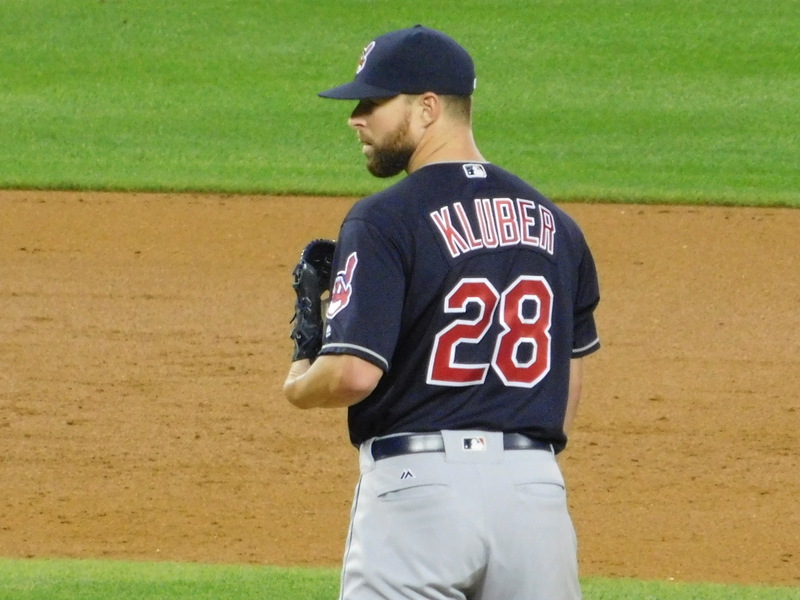 Kluber was solid in his last start against the Tigers in Detroit, earning his first win of the season, but he also was helped out by plenty of offense and four Tribe homers in an 8-2 win. Today the Indians will have the services of new outfielder Carlos Gonzalez, who was with the team on Saturday in K.C. and will make his Indians debut today. “I’m excited to be here,” Gonzalez said before to Saturday’s game. It would be nice to see Gonzalez give the Indians some much needed offense, as pushing one run across the last two games isn’t a formula for many wins in the big leagues.